As the Park Prescription movement continues to grow, more and more families are becoming aware of the power of public parks to improve physical and mental well-being. But as more families head to their parks to get healthy, some are scrambling to find resources that kids and parents can use to have fun, get physically active, and explore nature in their local green spaces. 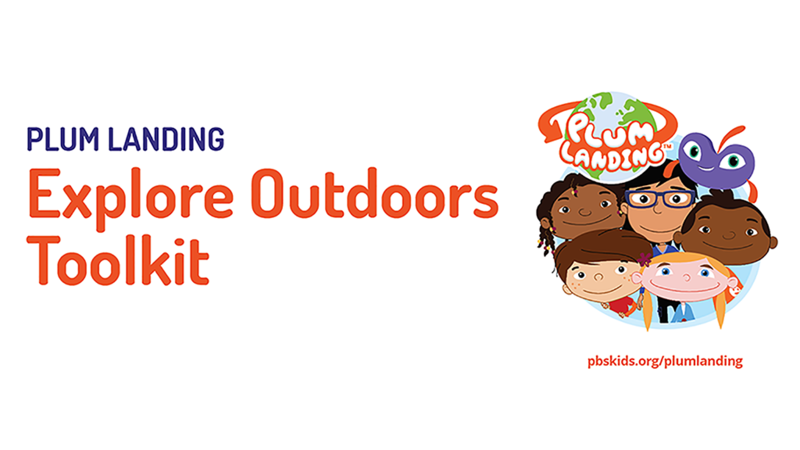 In an effort to support the organizations that provide outdoor programming for families, PLUM LANDING, an innovative PBS KIDS multimedia environmental science project for 6- to 9-year-olds, has created the PLUM LANDING: Explore Outdoors Toolkit, a new set of family-focused activities and media intended to get families active and outdoors. The Toolkit offers a unique blend of physical activity and outdoor science learning and is designed to be done anywhere, with a focus on urban parks and neighborhoods. These resources were developed in partnership with outdoor prescription and education programs in urban areas across the country. The Toolkit offers options to incorporate resources into existing programming or to start a full PLUM LANDING program of your own. Choose from a collection of educator-led family activities designed to support outdoor events. Activities range from 10 to 40 minutes long, are low cost, low prep, and can be led by any educator, no matter his or her educational background. There are short animated videos park staff can use to introduce the activity, or they can skip the video and dive right in. For example, park staff could lead the “Fly It Spy It” activity where families toss a ball or paper airplane and explore the area where it lands. The activity can be conducted as a one-hour weekend program or as part of a longer ranger-led walk. Print out and offer any of the self-guided activities for families to do at park sites or when they get home. For example, park staff could encourage families to try the “Mission: Water” activity in which kids and parents pretend to be thirsty squirrels looking for sources of water. All self-guided activities are available in English and Spanish. Use the educator tip videos to onboard staff or refresh them in tried-and-true best practices in leading outdoor science exploration. The videos are hosted by Jessie Scott, a longtime outdoor educator with the U.S. Forest Service. Host a contest using the Outdoor Adventures online nature badging tool or the Outdoor Family Fun with Plum app. Both offer structure, ideas, and incentives for families to complete real-world nature explorations. Park staff can challenge families to come to the park to complete missions using either tool and offer a prize to those who complete the most missions. Host a viewing party with parents and screen a selection of our parent tip videos to spark discussion about overcoming common barriers that families face in getting outdoors (access, time, concerns about safety, etc.). Videos hosted by Rue Mapp of Outdoor Afro and José González of Latino Outdoors are available in English and Spanish and help parents realize that getting to their local park is easier than they think. For those organizations looking for advice on starting an entire PLUM LANDING Explore Outdoors program, there’s a comprehensive guide with tips and advice, as well as promotional support materials. PLUM LANDING shares the Institute at Golden Gate’s and the National Park Service’s goals of getting families outdoors, reclaiming public spaces, and inspiring a new generation of caretakers of the environment. Launched in 2014, PLUM LANDING is an innovative PBS KIDS multimedia environmental science project that encourages children and families to explore the outdoors. PLUM offers free educational media, games, hands-on outdoor science activities, and more to get kids 6- to 9-years-old outside. It harnesses the power of technology and media to inspire, teach, and engage kids towards outdoor learning experiences.